In a Nutshell: Many businesses turning to modern technologies for voice communications need help making the switch from landlines to voice over IP (VoIP). As a massive marketplace for voice hardware and solutions, VoIP Supply helps companies identify and order the products and services they need — all in one place. VoIP Supply also promotes a culture of sustainability and service — for both customer and community — that differentiates it in the VoIP space. 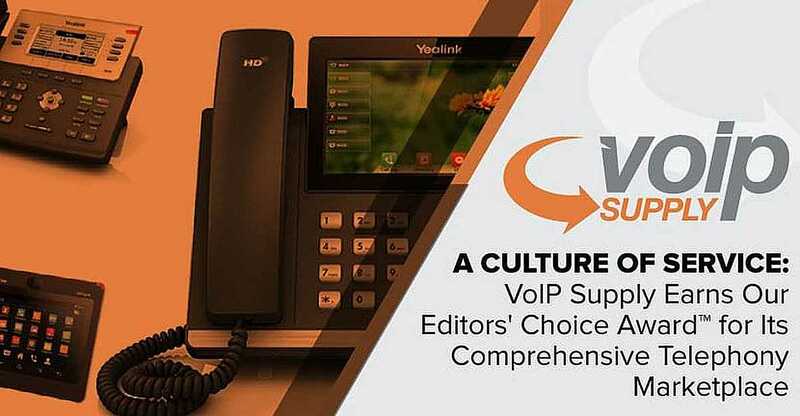 For its commitment to helping business implement voice solutions, VoIP Supply earns our Editor’s Choice Award™ for its Comprehensive Telephony Marketplace. Voice communication is so vital to businesses that many have clung to legacy landline technology more out of necessity than loyalty. Now, more businesses are turning to voice over IP (VoIP) to run phone calls through the internet without sacrificing call quality. But the most significant benefit of VoIP could be cost savings, as businesses that make the switch can see a 23% reduction in the cost of telephone services. VoIP also enables employees to be more productive by unifying communications into one channel that can be accessed remotely. A company with 100 or more employees can save nearly 50,000 hours a year using VoIP as part of a unified communication strategy. 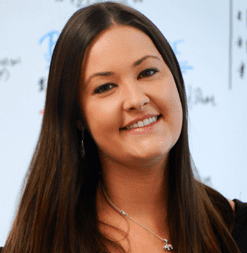 Mary Cheney, Marketing Supervisor at VoIP Supply, spoke with us about the company’s culture and solutions. Since 2002, VoIP Supply has been helping companies get started on the path to unified communications and responsive customer support for every need through its vast VoIP hardware and services marketplace. “We pride ourselves on choosing the perfect solution for our customers, we listen to the needs of our customer and fit them with the ideal hardware and service,” said Mary Cheney, Marketing Supervisor at VoIP Supply. While VoIP Supply is known for its telephony hardware, the company is focusing more on the hosted solutions that businesses are shifting to for savings in resources and IT time. “That is why our slogan is ‘everything that you need for VoIP.’ With hosted solutions becoming more predominant in the industry, we’ve adjusted our focus for our customers,” Mary said. VoIP Supply’s dedication to customers begins with a company culture rooted in a sense of family, togetherness, and service that goes beyond the telephone. That commitment, and a vast selection of hardware and services, has earned VoIP Supply our Editor’s Choice Award™ for its Comprehensive Telephony Marketplace. VoIP Supply wants customer service to be an extension of the company’s values and mission, which is why it went through the rigorous process of achieving B-Corporation certification. To become a B Corp, a company must prove its dedication to environmental and social performance, as well as transparency and accountability, among other many virtues and values. VoIP Supply has implemented many initiatives to meet its goals of being eco-friendly, from reducing printing in its offices to re-using boxes for shipping. The company also runs a Reclaim and Refresh program to buy back old VoIP equipment for refurbishment, which keeps it out of landfills and gets it back into the market. “We like to look at ourselves as a sustainable business and being a B Corp is a great opportunity to emphasize that,” Mary said. But VoIP Supply’s impact goes beyond the environment. The company is active in the community and encourages employees to volunteer — even while on the clock — and nominate charitable organizations for company donations. 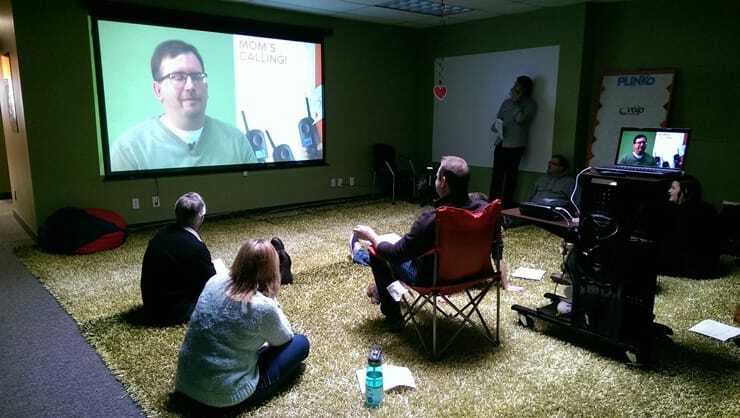 And, sometimes, VoIP Supply sees a community member in need and jumps at the chance to help. When Dog Ears Bookstore, a second-hand bookseller in Buffalo, New York, was burglarized and had all of its computers stolen, VoIP Supply came to the store’s aid. That kind of commitment to service goes into everything the company does, and it begins with the marketplace it has built for businesses to fulfill every VoIP need. While VoIP Supply works mostly with resellers, the company wants to help any business easily implement VoIP. And the company works with its customers — whether resellers or retailers — to find the most practical solutions. VoIP Supply has an extensive hardware marketplace where customers can research and purchase phones, headsets, cameras, PBX appliances, gateways, and more. The company also has software to handle everything from multi-party HD video conferencing to managing an entire hotel’s phone system. As technology and business needs have evolved, VoIP Supply has updated its offerings to satisfy both. One major shift has been in the direction of hosted exchanges, which are off-premise and insulated from many common on-premise predicaments. Because many industries are heading to hosted solutions, VoIP Supply created the CloudSpan Marketplace to match customers with products and services that best fit their objectives. Through VoIP Supply’s partnerships, businesses can research exactly what they need and select the right service provider. The company takes service seriously and is prepared not only to help customers select the right equipment and plans but also give them the knowledge to implement a system and the support to keep it running. VoIP Supply is passionate about helping businesses solve communications inefficiencies, and one of the main ways it accomplishes that is through knowledge. And it starts with sales. And when team members want to learn more about emerging technologies, or anything that sharpens their knowledge, VoIP Supply is more than supportive. The VoIP Supply team is knowledgeable, and members are encouraged to learn new skills related to their interests. Customers can also access a range of buyer guides on the company’s website and keep up with news and trends on the VoIP Insider blog. VoIP Supply knows that by providing knowledge before, during, and after the sale is a big differentiator in the space, and by building learning into the company’s culture, it can sustain that responsive support. As businesses look to save money without sacrificing productivity, they often turn to modern technology for help. Some good tech investments, like the switch from legacy landlines to VoIP, can start providing ROI immediately. VoIP Supply recognizes the importance of voice communications and helps resellers and retailers connect with the products and services they need to implement VoIP easily. Mary, for one, has seen the changes in voice communications and is excited to be in the VoIP industry. By keeping both customers and employees happy — while also showing its commitment to sustainability as a B Corp — VoIP Supply is setting an example for the entire industry to follow. For this, VoIP Supply has earned our Editor’s Choice Award™ for its Comprehensive Telephony Marketplace.